When time goes by, iPod Touch may be full of some history, like browsing history, keyboard history or iMessage history. Every time, you access a website from Safari, use keyboard to type something or send message, it gets saved in your history. Sometimes this can cause quite a few problems with storage and memory on iPod Touch. In order to prevent these problems, users have to clear history on their devices. Hence, the ideal way to avoid this situation is to delete history on iPod Touch. 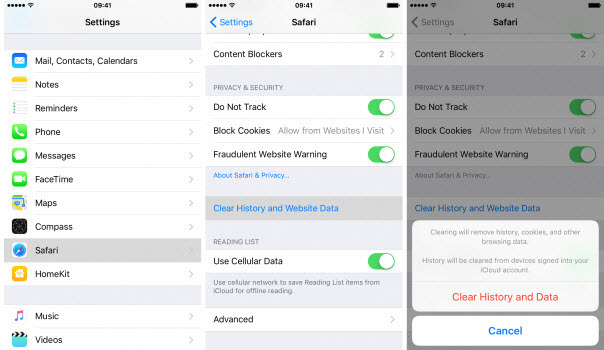 Clearing history on iPod Touch Safari is quite easy and can be done in matter of minutes. Just follow the few simple steps below to clean up your device. Go to Settings and then scroll down to Safari. Tap on Clear History and Website Data and hit Clear History and Data to confirm the cleaning. In minutes all your history and cookies will be deleted from the device. It is a simple method that allows users to swiftly clear all history their iPod Touch Safari. The auto-correct dictionary on your iPod Touch has recorded words. Some of them may be not necessary for you. Curious about how to clean it? Just follow the simple steps below. Go to Settings > General and scroll down to Reset. iMessage history may have more things to do with private concern, since iMessage stores some personal stuff. Clearing history on iPod Touch iMessage is quite simply to do. Just follow the two steps below. You can simply go on Messages, press Edit in the upper left corner. Remove conversations by tapping on the ‘All Clear’ option. The above methods require manual steps and you will not have idea about how much storage space is cleaned by doing that. Besides, for those users who concern much about the private issue, the above methods may not be much safe. 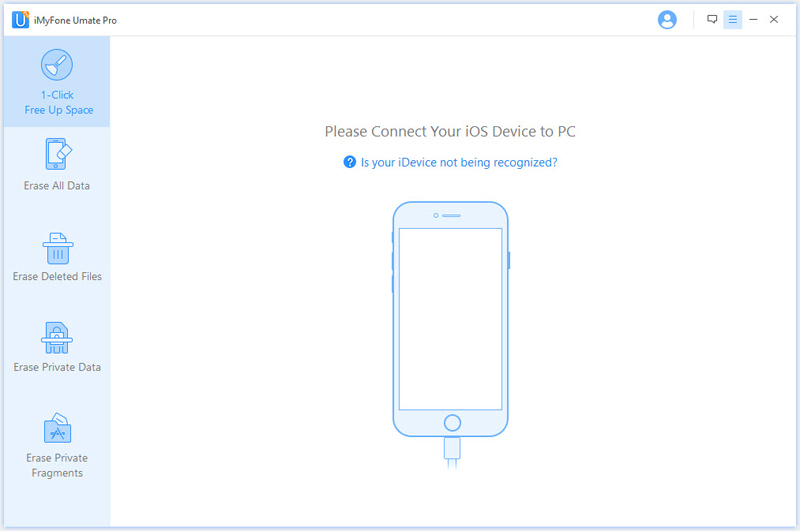 History deleted on your iPod Touch can be recovered by some recovery tool. Especially for those users who want to sell their iPod Touch, it is suggested to use a iPod Touch eraser to do so. 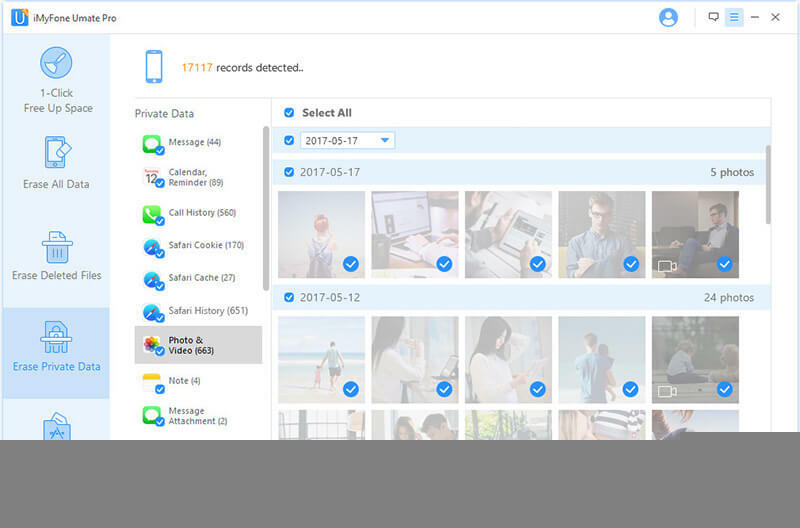 iMyFone Umate Pro or iMyFone Umate Pro for Mac is one of the best iOS erasers in the world. It is regards as the all-in-one solution for space saving and also the private protection. It supports to scan and erase all kinds of iOS files. History manually deleted on iPod Touch is still possible to be recovered. Luckily, iMyFone Umate Pro has the option to erase the history and the erase action is permanent. Even with the latest recovery tool, it still cannot be recovered. Besides, apart from the current history, iMyFone Umate still can find out and erase the deleted history. Completely delete Safari history, call history, WhatsApp history, WeChat History, 100% unrecoverable. 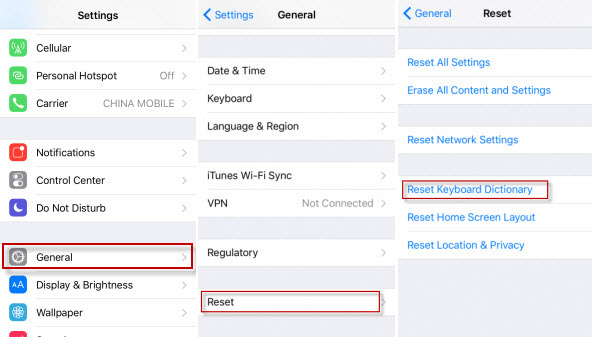 Thoroughly remove deleted call history, Safari history, WeChat history from iPhone without any trace. Scan and permanently erase private data from your iDevices. 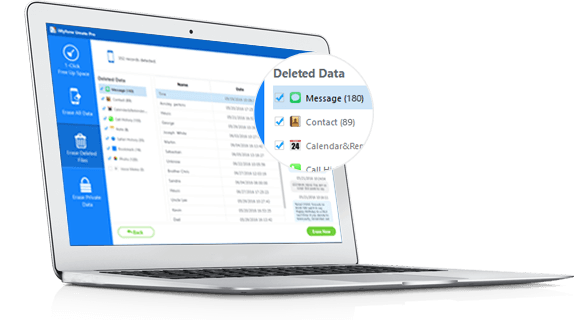 Find out and erase the deleted files with zero chance of recovery. Erase all settings and contents so as to make it new. One click to free up huge space with no need to manual cleaning. Preview or backup first before cleaning or erasing. Step 1: With the software installing on your computer, connect your iPod Touch to it. 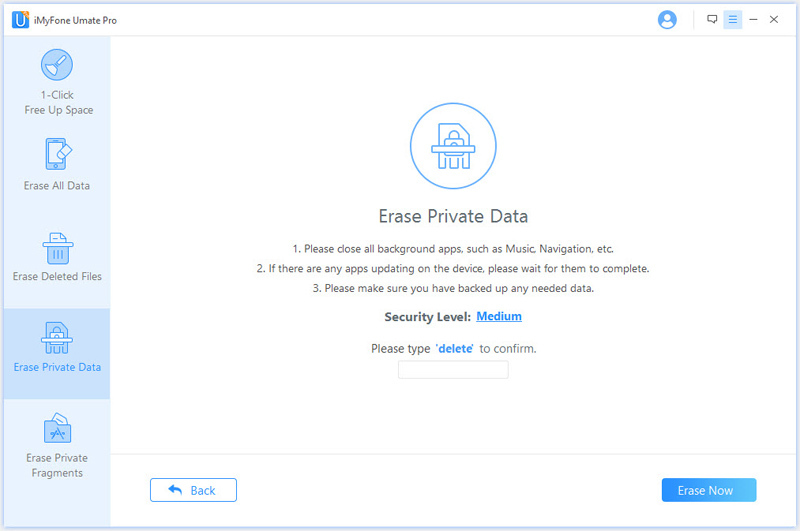 Step 2: Go to Erase Private Data tab and hit Scan button. When it finishes, you will see all the private data on your iPod Touch. Step 3: Choose Message or Safari History. You can preview first and hit Erase Now button. Then please type “delete” into the box to confirm. If you want to erase the deleted history, the steps are similar as above. However, the only difference is go to Erase Deleted Files tab when you access the software.